One of my favorite blogs to read is Modern Homesteading, a no fluff look at rural living for newbies. There is a post on there today that I think deserves a read, it is called: What is ‘Modern Homesteading’, Anyway? There are more than 15 different definitions, all from different people, on the subject. Going to prove what I believe about homesteading in general. It depends on who you are as to what it it means to you. My favorite definition from the blog? 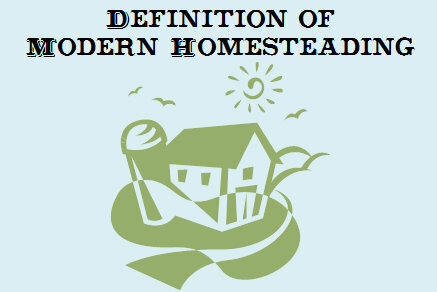 So, in light of this awesome blog post by Modern Homesteading, how do you define the term?